Last night ended an improbable regular season for both the Tampa Bay Rays and the Boston Red Sox. Theirs is truly a tale of two cities. The Sox held a monumental nine game lead in the race for the Wild Card playoff berth as the calendar turned to September, but frittered that lead away as both teams awoke on the last day of the regular season deadlocked. A win or a loss by both teams in the 162nd game would mean a one game playoff today. A win by one team and a loss by the other would mean the end one team's season. As last night unfolded Boston was clinging to a late 3-2 lead in Baltimore while waiting out a 90 minute rain delay. Several hundred miles south Tampa Bay was being bludgeoned by the division champ New York Yankees 7-0 as the Rays came to bat in the 8th inning. The stadium had mostly emptied and presumably everyone left felt the Rays had lost and their season over. But, as it turned out, the Rays weren't done. 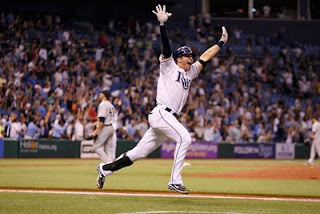 With an improbable six run inning, capped by Evan Longoria's three run homer the Rays climbed back into the game at 7-6. Interestingly enough at the same time as Tampa Bay was mounting their epic comeback the Red Sox were watching it on TV in their Baltimore clubhouse during the rain delay. The Rays tied the game 7-7 in their last at bat on a two out two strike homer by light hitting catcher Dan Johnson to force extra innings. Meanwhile in Baltimore the Orioles were staging a comeback of their own as they tied the Red Sox in the bottom of the 9th. Just after the stroke of midnight the Rays had pulled the miracle off, beating New York on Longoria's second dramatic homer of the night in the 12th inning while the Orioles pushed across the winning run to end the Red Sox season. This game should be a lesson to all young athletes that the game is never over until they think it is. Tampa Bay never gave up; they stayed mentally tough and believed they were destined to win the game. On the other side of the fence the Red Sox in watching Tampa's comeback must have deflated mentally and believed it was over for them; and it was. Longoria's heroic and historic performance shows how one's ability to stay laser focused against all odds can create a legendary peak performance. Believe you can and you will! Remember what Henry Ford said, "Either you think you can or think you can't, and either way you're right." I think we know which end of this quote Boston chose. 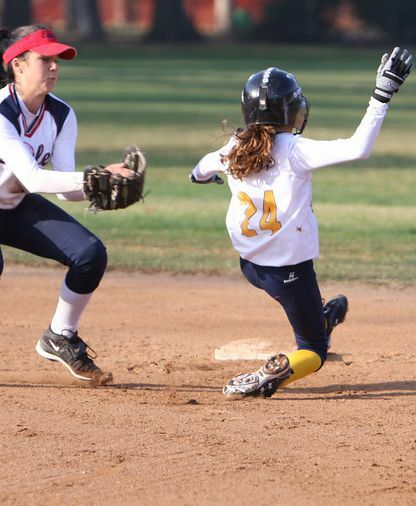 Learn more about how your athlete can become a consistent peak performer playing with passion and joy at Winner's Edge Softball. Just 3 more days until the release of John's latest book How She Thinks is How She Plays and The Game Changer: A Mental Skills Blueprint to Make her the Best She Can Be. 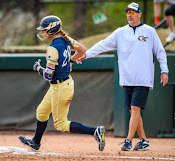 Subscribe to John's FREE weekly Softball Smarts Tips where you'll get fresh insights, tools and tips to help make your athlete the best she can be! 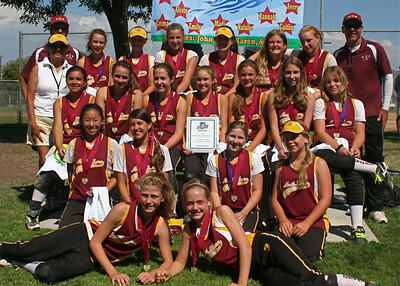 The summer of 2009 was a magical season for a 12u fastpitch team I coached. My team accomplished a level of success that our organization had never known before, finishing 1st or 2nd place in seven of ten tournaments we played, plus a 3rd place finish in the State Tournament and 7th place in ASA Nationals. These results are easy to be impressed with and in a culture where performance and results are "king" we had an epic season. The real secret behind my team's success was planted much earlier in the story...on the very first day of practice. I decided to implement a new coaching philosophy that I had been working on for a few years. 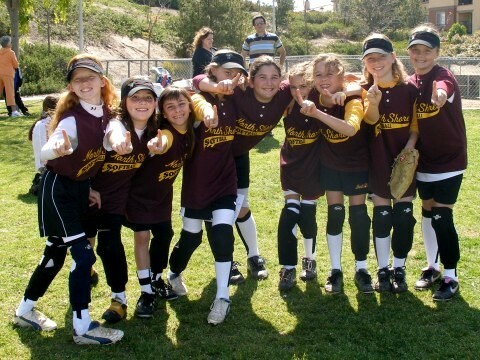 I knew I had an excellent core of players that, like so many other teams from our organization in previous seasons, had never achieved their true softball potential. I truly believed we had the makings of a very special team on that first day we assembled. So what was so different about my new coaching philosophy? Historically I, and most coaches I am afraid, was focused on results. Game scores and a "W" or "L" were all that really mattered to me. It was as if my team's results defined me as a coach and a person. After many years of this type of thinking I came to the realization that the pressure and expectations of results only thinking was actually hurting my team and all the players on it. Instead I began to implement a new coaching philosophy that focused solely on my team's effort and not the outcome or results. It was unfamiliar territory for both my players and myself, but it felt right. I told my team that we would not focus on the score of the game nor the results of the game (including focusing on any errors or poor at bats), but rather would focus only on two things: 100% effort and 100% mental focus; both of which my players had 100% control over. I believed that if my players concentrated on those two things the results we all so desperately desired, and too often fell short of in past seasons, would magically happen...and boy did they! We had numerous come from behind wins, continually got off to early leads and had a lot of fun playing together. Even the parents and coaches got along like one big happy family! My team was not saddled with burdensome expectations and results driven thinking and they played that way. We quickly moved to 11-1, then 21-3 early in the season. My team played relaxed with poise, confidence and joy. The new coaching formula clearly was working. The girls were becoming consistent peak performers because they were focusing on the task at hand, each inning and each batter. The mold was cast and the rest of our season was a very cool experience for everyone. The secret was simple, although it took years of doing it the wrong way before I figured out the right way! My athletes played as champions, with passion and joy. More importantly we created great memories that will last a lifetime! At this very moment I am suffering through about two consecutive hours of a neighbor's barking dog. I have a ton of work to accomplish today yet this dog is taking me off my game in a big way! The dog has gotten in my head and it has been impossible to keep the present moment awareness I so desperately need today! Why do such little and inconsequential things affect us so badly sometimes? Not only has the dog taken away my focus from the tasks at hand but I'm finding it hard to let go of my frustration caused by the dog. As I write about how essential it is for an athlete to let go of the things she has no control over I know this is true, but at this moment I recognize how hard that can be to execute! It is so easy for negative thoughts to take hold and the downward mental spiral to commence. 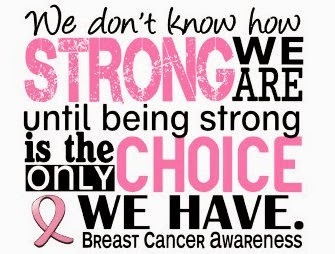 And it is normally the smallest of things that can set us off, isn't it? For adults, and your athlete, it all starts with mostly a rigid set of expectations. Like today my rigid set of expectations were that I would be able to record numerous audio lessons critical to launching The Game Changer Program in four days! However, with the dog's intrusion into my best made plans I now need to adopt a mentality of flexibility. Just the same your athlete needs to allow for the flexibility of "Plan B" to take over when unforeseen circumstances take her off her game. Something as little as not being able to find her cleats as you are rushing out the door for the game, making her late, can set her (or you) off. One's mental state can be a fragile thing leading to all kinds of negative thoughts which can emotionally and physically drain the body of both focus and energy. Today I must push through the sound of my neighbor's dog and get my tasks completed while doing my best to come back to the present moment awareness I need. 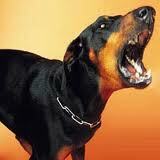 The next time your athlete is distracted by the "barking dog" remind her to employ more flexibility in how her game and her day unfolds! P.S. -- If you hear barking in the background of any of my audio lessons you'll know why! 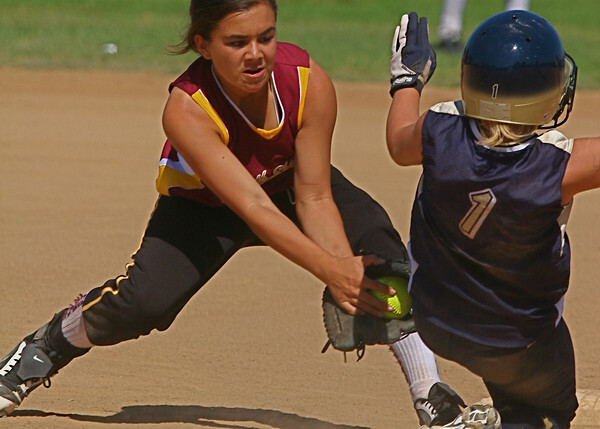 Learn more about why physical training simply isn't enough to make her the very best she can be at Winner's Edge Softball. 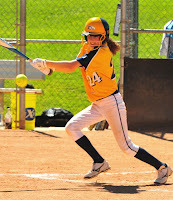 Learn more about all of our cutting edge original information products like How She Thinks is How She Plays, The Game Changer: A Mental Skills Blueprint to Make Her the Best She Can Be, The Secret Weapon Audio Collection 1, and 21 Killer Fastpitch Softball Winning Strategies and our new Mental Skills Tele-Classes coming in late October. At my travel team's practice last night I was struck by how hard our girls worked. 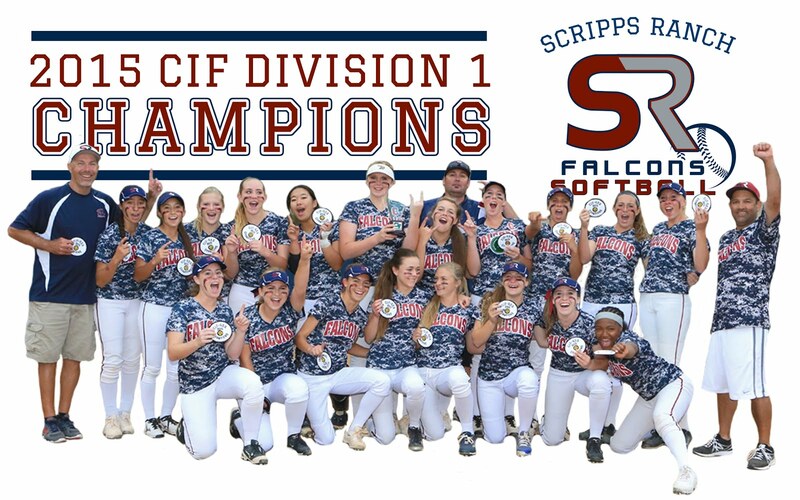 We generally practice with two teams together and it was such a pleasure to watch 28 athletes being put through a grueling three hour practice that will no doubt make them all better fastpitch softball players. Does your athlete have a great work ethic? 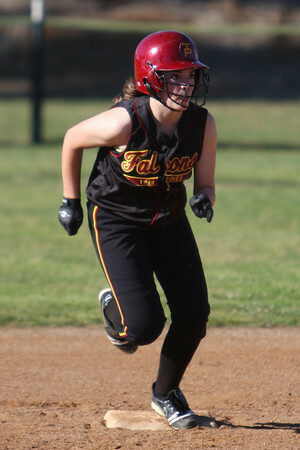 The game of fastpitch softball requires that a ton of effort be expended if one ever hopes to master a very difficult game. In our practices we drill the nuances of the game; particularly on defense where most games are won or lost. We will work 30-40 minutes on one aspect of the game knowing that the muscle memory and, as I call it, mental memory will take root with enough repetitions. Our girls come ready to give it 110% every practice. We love it when the first girl dives for a ball during a drill, then another one dives and another. We set the bar high but in truth it is the players themselves who set the bar high expecting maximum effort from each other. Having a great work ethic is contagious and hopefully your athlete plays on a team where the bar is also set high for effort. However, if your athlete is not on such a team where extreme effort is the norm she can be the one to set the bar higher for achievement. It takes just one committed player to change the culture on a team. Your athlete should NEVER play down to the level of her teammates or competition. She needs to play her game all the time and push herself to be the best she can be even if no other player or coach is pushing her. I had the opportunity to speak at length with the University of Kentucky softball Head Coach Rachel Lawson while watching the ASA 18 Gold Nationals last summer. Coach Lawson was adamant about the value she places on effort in a player she is recruiting. She indicated that many of the mechanical nuances of playing the game can be taught by her and her staff once a player gets to Kentucky, but that the attitude and effort an athlete demonstrates cannot be taught. Coach Lawson and I watched a particular play in which a right fielder failed to give maximum effort on a foul fly ball near the fence, letting the ball drop. I asked Coach Lawson if she knew who that player was (given that there were dozens of college coaches scouting players on every team). She said no, but if that player had of laid out for the ball showing maximum effort she (Coach Lawson) would have looked at her roster sheet to see who the girl was. Coach Lawson went on to say that it was not uncommon for her to be at a game scouting a particular player only to have another player catch her interest simply through her hustle and effort. The moral of the story...instill a great work ethic in your athlete and her game mastery will accelerate dramatically as well as put her in an optimal position to draw the attention of top coaches who want her on their roster. The hidden benefit of maximum effort...a good night's sleep for a job well done! Just 8 more days until the release of John's latest book How She Thinks is How She Plays and The Game Changer: A Mental Skills Blueprint to Make her the Best She Can Be. We're all aware of the virtues of positive thinking, although I would venture to guess that few of us actually practice it on a regular basis. However when it comes to young athletes the power of positive thinking can do wonders to accelerate or damage your athlete's on the field success. Henry Ford is quoted as saying, "Either you think you can or think you can't and either way you are right." Over one hundred years removed from that quote Mr. Ford was right; the power of our minds to determine our success is indisputable. One's belief in his or her ability to achieve a specific goal or intention lays the rock solid foundation for it's attainment. For a young athlete, particularly in a difficult sport like softball or baseball, his or her ability to develop a strong sense of belief in his or her on the field success is paramount to that outcome actually happening. Positive self talk is a great way to start your athlete on the right track for bolstering his or her belief system. Positive self talk is success programming that the subconscious mind gladly accepts and acts upon. It is an easy skill to teach your athlete and one that he or she can practice and refine to improve every part of his or her game (as well as grades!). Because softball and baseball throw so much adversity at an athlete his or her ability to bounce back from mistakes is crucial to both his or her mastery of and enjoyment for the game. Negative self talk after an error or poor at bat will only serve to perpetuate his or her poor performance as this kind of "past" thinking will rob your athlete of the present moment focus required for success. I love to hit and can't wait to get in the batter's box! I may have missed that last grounder but I'll get the next one! I am a good player that enjoys the game regardless of the results! I know I struck out three times last game, but today I get the opportunity to start fresh! I love pitching and know I'm going to do my best today! Maybe I'm not the best player on my team, but I'm going to keep working hard to get better! I believe I'm going to have a great game today! I believe I'm the best player who ever lived! I love playing the game no matter what happens! If you notice I have put an exclamation point after each positive trigger statement. I did so because each positive trigger statement should be accompanied by joy and conviction. Instilling the power of belief for success is a great gift any parent can give his or her child, whether for the ball field or the classroom. Positive self talk is a great place to start building that rock solid belief and "can do" attitude! 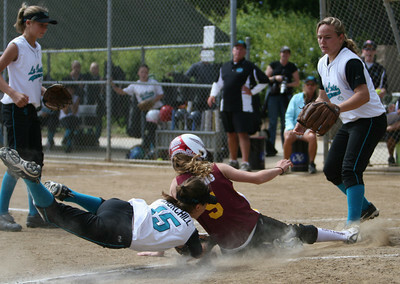 Learn more about how your athlete's mental skills define her level of success at Winner's Edge Softball. Only 9 days until the release of John's new book How She Thinks is How She Plays and The Game Changer Program: A Mental Skills Blueprint to Make Her to Best She Can Be. 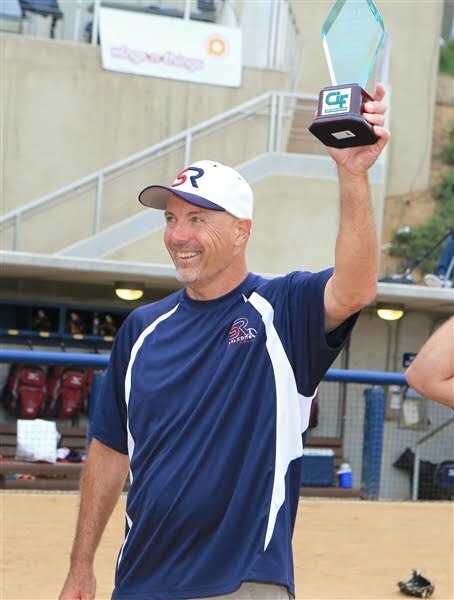 Be sure to sign up for John's weekly Softball Smarts Tips, full of fresh insights, tools and tips to help turn your athlete into a consistent peak performer that top coaches want in their program. In 2011 as gasoline continues to hover around $4.00 per gallon we all spend a lot of time at the pump filling up our gas tanks. But did you know that your athlete has a very distinct and fragile emotional tank that needs to be constantly filled up as well? Human beings and particularly athletes crave and need emotional support and the positive "can do" energy that flows from it. Why does the home team win such a high percentage of the time? College football or college basketball are great examples of how young athletes respond to the emotional support the home crowd gives them. Your athlete is no different. Since she is still growing cognitively her emotions can keep her on a roller coaster ride from week to week. Fastpitch softball can further burden her with a heavy dose of adversity to overcome in the form of strikeouts, errors or mental mistakes. It is at this time that your athlete needs to have her emotional tank filled up. As adults, whether a coach or parent, when we choose focus on the mistakes (rather than the effort) and send young athletes negative energy their emotional tanks will start to deplete; causing them to make even more mistakes and derive less enjoyment from the game. 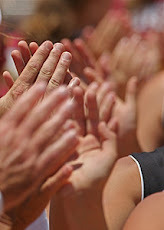 Encouragement and praise go a long way towards keeping your athlete's emotional tank needle on full. In coaching we call it the "sandwich method" of praise and constructive criticism: praise-correct-praise. Recent research by the Positive Coaching Alliance shows that a ratio of 5:1 praise to correction is a far better formula for ensuring an athlete's emotional tank remains full. 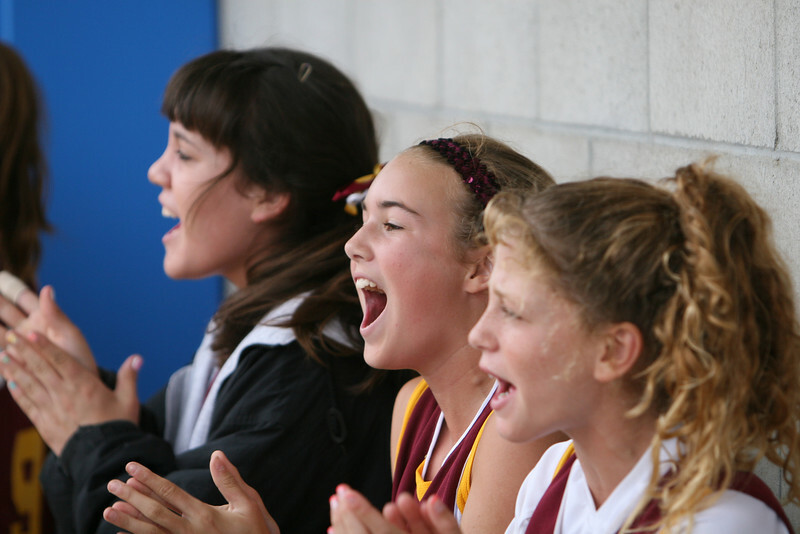 Youngsters are often unable or unwilling to share their emotions and feelings with adults so just because your athlete may not say anything to you about where her emotional tank level is at just know that your communication with her plays a huge role in how she feels about herself and her performance. So after a particularly tough game give her a little room and a little time before doling out any criticism, analysis or judgment you may be inclined to do. 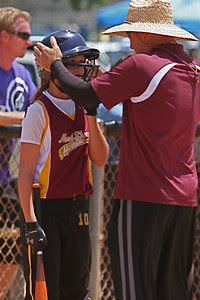 Remember the goal is always to keep your athlete's emotional tank overflowing. 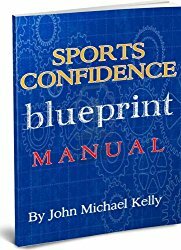 Self-confidence, self-esteem and a healthy self-image all play an enormous role in the level of success and happiness your athlete will have on the athletic field and in life. Your being aware of filling versus depleting her emotional tank will go a long ways towards her becoming the very best player and person she can be! For more helpful resources on filling her emotional tank and positive sports parent skills go to Positive Coaching Alliance. To learn more about how your athlete can master the mental skills necessary to become the consistent peak performing player top coaches want visit us at Winner's Edge Softball. 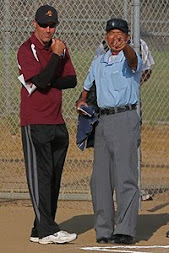 Subscribe to John's weekly Softball Smarts Tips for valuable insights, tools and tips to help your athlete become the very best she can be. Just 10 more days until the release of John's latest book, How She Thinks is How She Plays and The Game Changer Program: A Mental Skills Blueprint to Make Her the Best She Can Be. For adults a typical day is a whirlwind of activities composed of work, family and personal demands. There never seems to be enough time in our busy lives and the alarm clock sounds far too quickly each morning. In our daily frenzy it is easy to get lost in thoughts of future or past events, isn't it? We become preoccupied with the myriad details of our day, or what we didn't get done yesterday, or what we have to do tomorrow or next week. In the process our present moments disappear. For your athlete the same challenges can present themselves. She can be preoccupied with a future test or assignment at school or a social activity she is looking forward to on the weekend. She can also dwell in the past lamenting a poor grade on a quiz or why that boy never smiled back at her in class. For her the present moment can also be elusive. 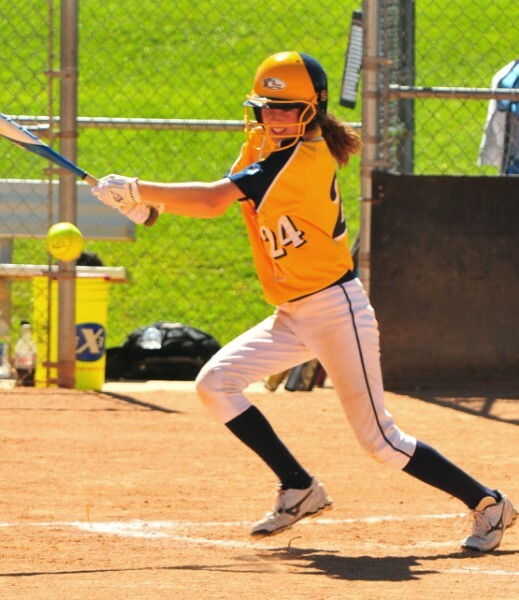 As an athlete, particularly playing a game as difficult as fastpitch softball, she needs to bring her "A" game when it comes to her mental focus come game time. The game has little sympathy for future or past thinking when that 60 mph rise ball is coming! The excitement of anticipating a future moment is not a bad thing and kids do that far more naturally than adults do. If your athlete loves playing the game she will likely be in that anticipatory state with her thoughts. However, once she steps on the field or in the on deck circle she needs to bring her thinking back to the present moment if she has any hope of sustainable success. It is at this time that she needs to focus on her "plan" and laser focus on the task at hand. Future thinking can also show up in the form of anxiety and fear if your athlete has self-confidence issues with her hitting or fielding. Dreading a future moment makes being in the present moment virtually impossible. Equally as debilitating for your athlete is dwelling on her past mistakes on the field during the game. The past is, by definition, a present moment already gone. Therefore your athlete needs to learn to let go of her mistakes by understanding that everyone makes mistakes in the game of fastpitch softball. Rather have her look for what she can learn from her mistakes. Dwelling in the past will rob your athlete of her ability to focus her attention and energy on the task at hand. Whether engaging in past or future thinking your athlete's game performance will be far better served by taking the game one pitch at a time. For many kids (and adults) it takes time to cultivate this present moment awareness, and such awareness is a byproduct of healthy self-confidence and mental toughness. In reality the future has yet to happen and the past is but a memory. Keep her focused in the now and your athlete will be well on her way to being the very best she can be! 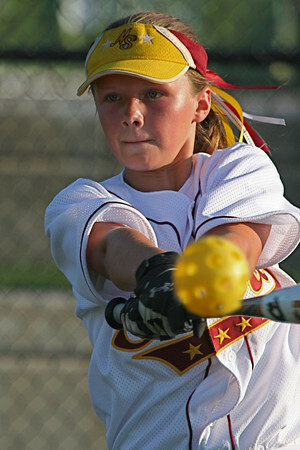 To learn more about how your athlete can sharpen her mental toughness and be able to laser focus on the present moment visit us at Winner's Edge Softball. Subscribe today to John's weekly Softball Smarts Tips, filled with great mental skills insights, tools and tips. 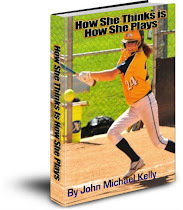 Announcing the October 1 release of John's latest book How She Thinks is How She Plays and The Game Changer Program: A Mental Skills Blueprint to Make Her the Best She Can Be. As a student of the mental side of any sport I was intrigued by a particular play during yesterday's the Chargers - Patriots game to see what the response would be after the game and today in the media. The play involved the Charger's fullback Mike Tolbert fumbling late in the game on a drive that would have put the Chargers ahead in a game they would lose to New England 35-21. Tolbert's fumble was unique because it was on a second effort in changing directions to get more yards that a Patriot defender poked the ball loose from Tolbert. 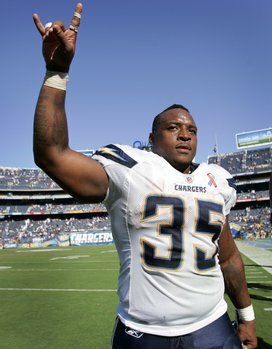 Certainly on one hand the fumble was devastating to the Chargers efforts to win the game, but on the other hand Tolbert's mistake was a mistake of "effort." 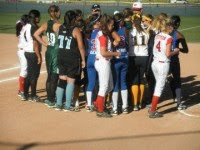 Football like softball contains a very wicked individual game within the larger team game. As expected the media and Tolbert himself pointed to his mistake as the reason San Diego lost the game. Even his coaches addressed the fumble as a problem. Poor Mike Tolbert looked emotionally crushed at his locker being interviewed with a dozen microphones and cameras in his face. The question for Tolbert is how will he respond to such a difficult play and game (where he also failed to score on a 4th down play from the New England one yard line). 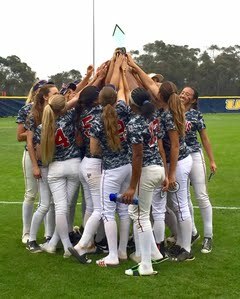 As in softball no one player or one play truly decides the outcome of a game and there are always myriad opportunities for the team to play better -- as was surely the case with the Chargers. It is safe to say that if you are a running back or quarterback in the National Football League you are going to make mistakes. Like softball football is a game that will kick you in the stomach some days (literally!). Mike Tolbert's error of effort should be partially excused by his coaches (as opposed to a mental error). So how does the story of Mike Tolbert's fumble pertain to your athlete? She needs to distinguish effort from results. Sometimes in sports the harder you try, the more effort you give the more likely mistakes will happen. However, as a coach, I can never fault an athlete for making an error of effort. Sure mistakes can be very costly in any game, but to maintain your athlete's self-confidence and proper mental attitude--that mistakes are learning opportunities--it is important not to compound to the agony the athlete already feels. If your athlete views her mistakes as both an inevitable part of the game and as an opportunity to learn from she will be well on her way towards becoming a consistent peak performing athlete. In summarizing his fumble Mike Tolbert's response is one you would expect from a professional, "You don't have a choice but to to move on and try to get better from it." This is a great attitude that your athlete can learn from and, hopefully, emulate after a mistake or poor at bat. To learn more about how your athlete can recognize then master the 21 Mental Performance Killers that sabotage her success visit us at Winner's Edge Softball. 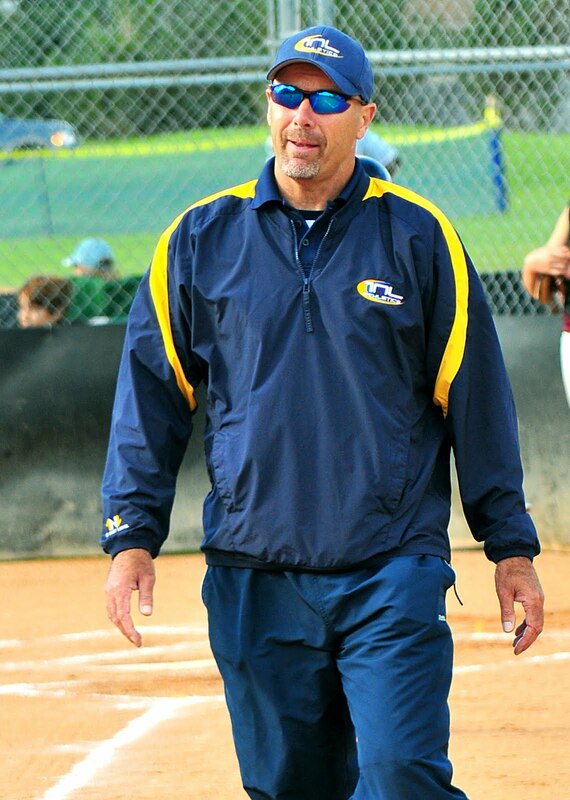 Subscribe to weekly Softball Smarts Tips where John shares fresh insights, tools and tips to help your athlete to be the very best she can be. Your athlete is likely under the burden of expectations every time she steps onto the field, and these expectations can strangle and sabotage her performance without you or her even knowing it. As a parent of a softball player and a coach (game and mental skills) I highly recommend that you be honest in assessing your own expectations for your athlete. The pressure you may be putting on her may be an unconscious one, yet she feels it just the same. In my new book, How She Thinks Is How She Plays, I cover in great detail just how difficult a game fastpitch softball really is. 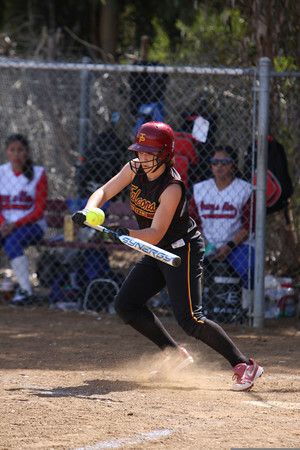 Read John's daily Softball Smarts blog. 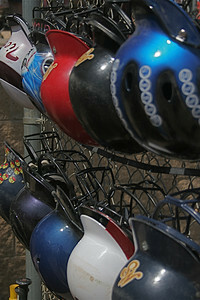 Sign up for the weekly Softball Smarts Tips.